Downtown Westfield continues to provide its residents, visitors, and businesses with the goods and services readily sought after in a downtown environment. But the town has not merely rested on its laurels. Keeping downtown Westfield as economically healthy as it can be is an ongoing process, and the town has welcomed the opportunity to balance the needs of its largely residential tax base with the need to keep its downtown a preferred regional destination. Westfield has been reviewing its existing regulations to be sure that local ordinances are up to date and do not act as a deterrent to economic growth. 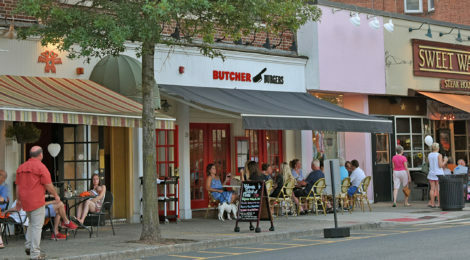 In July of 2016, Mayor Andy Skibitsky formed the Mayor’s Downtown Task Force (MDTF), the goal of which was, in simplest terms, to assess the changing retail paradigm and identify ways in which Westfield can best ensure the health of its vibrant and successful central business district. The MDTF membership comprises residents, a real estate professional, a representative of the Downtown Westfield Corporation (the town’s special improvement district management team), council members, town staff, the Board of Adjustment chair, and the president of the Board of Education. In addition, the MDTF retained the services of an outside consultant to provide a fresh set of eyes and to boost objectivity. Over a period stretching from last summer through March of this year, the MDTF held numerous stakeholder meetings to gather input and recommendations from the public, real estate professionals, tenants, and landlords on how to improve our central business district. The task force examined ordinances from other communities, as well as information available on current demographics and trends that affect downtown commercial districts. From the land use perspective, the MDTF heard about some major areas of concern from stakeholders: restrictions on what uses are permitted downtown, on building height, and on signage, as well as dissatisfaction with the required approval process and with parking requirements. To summarize its findings, the MDTF prepared a preliminary Report of Research and Recommendations. The research and recommendations fall within seven major categories – physical improvements, permitted uses, building height, signage, approval process, parking, and other. In total, 50 recommendations were made and included within the report. As a result of the MDTF’s work, the town has already adopted changes to its Land Use Ordinance and on-street parking regulations, expanding and updating lists of permitted uses, streamlining the application review process, and shortening the time allotted for paying into parking meters. Physical improvements are also under way, including the town’s first-ever parklet. Implementation of other recommendations is ongoing, including a planned complete re-drafting of the town’s sign ordinance. A great strength of any downtown is the presence of people at all times of the day and evening. Cognizant of the need for a regular influx of people to live, shop, dine, and use the professional and personal services in the downtown, and recognizing the preferences and needs of both Millennials and Baby Boomers, the town has been working with investors and builders in the planning of three new development projects, all representing significant investments in the downtown’s future while preserving the character that makes Westfield such a special place. The first project is the 70-unit, one- and two-bedroom luxury residential building located at the intersection of South Avenue and Central Avenue. Construction at this location will be completed shortly. The second project is the redevelopment of the Jolley Trolley restaurant site. The new building will contain not only retail space, but 20 one- and two-bedroom residential units. Construction is well under way and is expected to wrap up this year. The third project is the planned development at the intersection of West Broad Street and Rahway Avenue, where the construction of a residential building containing 31 units is proposed. All approvals are in place, the site has recently been sold to a builder, and construction has commenced. These developments all share some important desirable characteristics: They are all modern and architecturally appealing, they all represent improvements to currently underutilized properties located at highly visible locations in the downtown area, and they all will provide easy access for their residents to the goods, services, and entertainment that downtown Westfield offers. Further, since one of the tenets of destination downtowns is that visitors will go where residents go, these developments will, by bringing more residents to the downtown area, attract more visitors as well. Indeed it is a challenging time for downtowns. As for Westfield, we continue to strive to make Downtown Westfield a preferred destination to many generations to come.